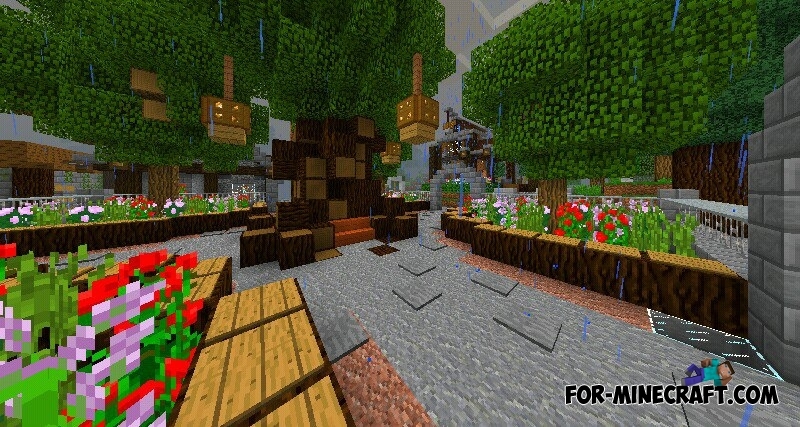 Fantasy Town is a great medieval map for Minecraft Pocket Edition. Here you will find a lot of old buildings and structures. The town different from other, each part is well developed. Large and small apartment buildings, gardens, fountains and castles. Everywhere you can find chests that are filled with useful things.